Why we choose not to be a preferred provider. You may be eligible to claim back some of your treatment costs through your health fund. It all depends on your plan and provider. To save you time, at Medland Dental we have HICAPS facilities so that you can claim directly from your health fund and only pay the difference at the time of your treatment. The decision on how much rebate is received from your health insurance company is determined by your level of cover, any waiting periods and the health insurance company’s business rules. Why we choose to not be health fund "members select" or "preferred providers"? We are often asked if we have a “preferred provider” relationship with private health insurance companies and why Medland Dental Centre has made the conscious decision not to be a health fund “preferred provider”. The term “preferred provider” is prone to misunderstanding. Being a “preferred provider” means that a dental practice is preferred by the health insurance company as they have entered into a financial agreement with that insurance company. In turn, the insurance company refers patients to their “preferred providers”. The term “preferred provider” is not a reflection of the quality of the practice or the skills or ability of the provider. Being a “preferred provider” involves entering into a contract with a particular health insurance company, and working to a fee schedule and any associated restrictions and constraints determined by that insurance company. While it may not universally be the case, the fee schedules set out by the health insurance companies may limit the time, care and services able to be provided to patients, as well as pre-determine the quality and type of materials used. These contractual relationships between an insurance company and a dentist of their choosing may be beneficial to them but not to you! Providing optimum patient care, individually tailored to each patient’s individual needs is Medland Dental Centre’s first priority. 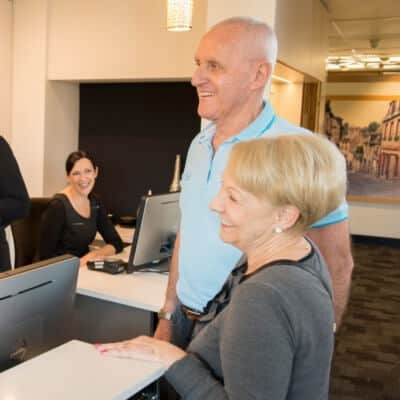 Medland Dental Centre prides itself on unbiased and uncompromising service and treatment, individualised care and technical excellence so we have made the conscious decision not to be contracted to any of the health insurance companies. Our priority is our patients. We will always offer you the full range of options available, rather than have clinical options influenced by your health insurance company. Medland Dental strongly feels that individuals should be able to choose their dentist and not be penalised because they choose to go to one who has remained clinically and financially independent from a health insurance company. According to data provided by the Private Health Insurance Ombudsmen, dental services are the largest health care service claimed for by patients that have “Extras” health insurance policies. Yet the amount of benefits paid to patients who have “Extras Cover” has not kept pace with the premiums paid, meaning that dental patients bear the brunt of the private health insurers’ failure to provide benefits that have kept pace with premiums. We understand how frustrating this is to patients and the financial impact that it has on individuals and families. We too find it frustrating that the health insurance companies are actively directing patients towards their contracted providers either by aggressive marketing (or subtle marketing) or on the promise of better rebates. The Australian Dental Association (ADA) is working with dentists nation-wide to ensure you and other patients are provided with all the information necessary to make an informed decision about private health insurance and your avenues to encourage change. Please see the downloadable ADA factsheets below for more information or visit the Australian Dental Association Website. If you feel that you are being short-changed by your private health insurer and agree that dental patients deserve rebates that are more reflective of the cost of the service, the Australian Dental Association recommends that you make a complaint with the Private Health Insurance Ombudsman. This is your chance to voice your opinion and make the Private Health Insurance Ombudsman aware that you and other Australians will not accept private heath insurers minimising rebates whilst maximising premiums! ADA Private Health Cover - Is it right for you?